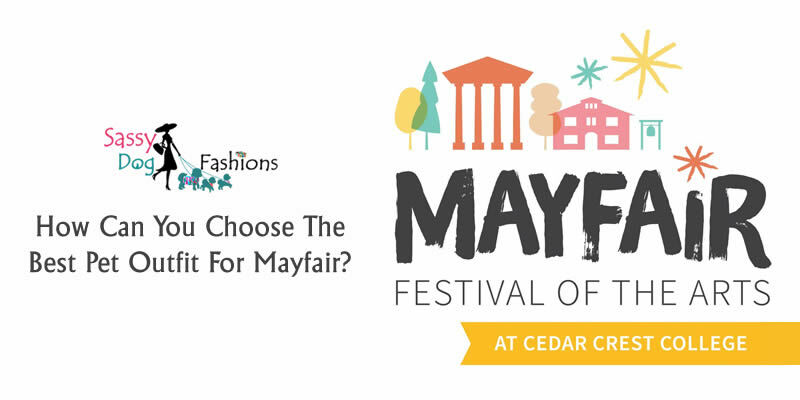 How Can You Choose The Best Pet Outfit For Mayfair? Mayfair Festival of the Arts 2018 is making a comeback in the Lehigh Valley. It is not just an event but a tradition celebrated by the festival-goers for 30 years now. This year the festival will be hosted by Cedar Crest College over Memorial Day Weekend featuring food and craft vendors, artists, music and live performances. Also, you can check out the details on their official website. Did you know you can bring your furry friend to the festival too? Time to grab the best outfit for the little one! However, choosing pet clothes for Mayfair is not a simple task as you need to select them according to your pet’s comfort while keeping in mind the weather conditions. Otherwise, your pet may end up ruining the whole Mayfair by getting irritated with the clothes. Below are few tips to choose the perfect clothes for Mayfair. Don’t ever put on all the pet apparel or accessories at once on your pet. Putting the shirts, boots, tie or even a collar at the same time will end up irritating your pet and it will make them feel very uncomfortable. You have to keep it simple; in case you are making them wear boots then you don’t need to put on a shirt, just end up the look by putting a cute bow tie or a custom leather dog collar. Similarly, along with t-shirts, you can just put a collar otherwise nothing else is required. Selecting the right color for the right event is the best way to dress your pet. Bright and vibrant colors will perfectly blend in with the liveliness of the event. You can also go with pop colors for your little girl’s dress. Make your dog the biggest showoff you can at the festival. These are a few things that you need to keep in mind while selecting clothes for your pet for the Mayfair. Make sure you follow all of them. QUICK TIP – Carry a Dog Walker Bag with you! Do not forget to carry a dog walker bag with you in the festival. You can keep your hands-free, to manage your dog and the leash when strolling around the campus. 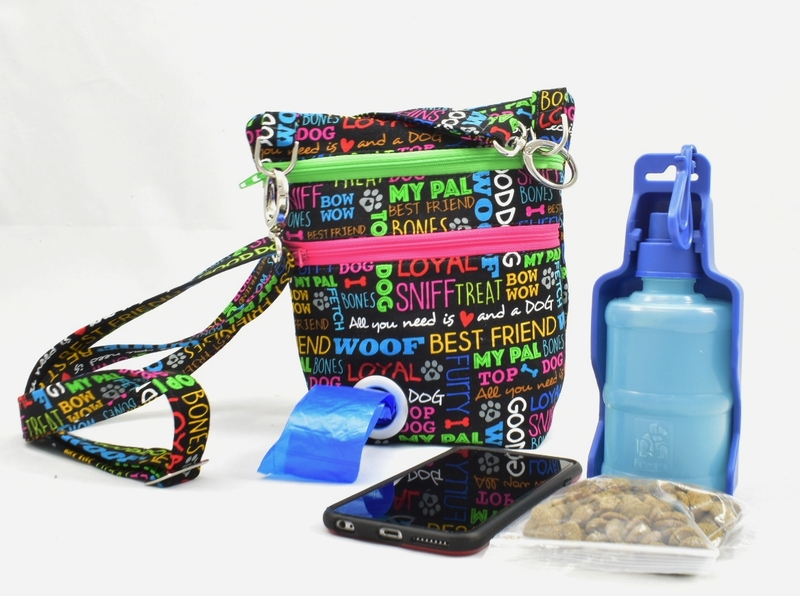 SassyDogFashions offers stylish dog walker bags with a built-in poop bag dispenser—your all-in-one bag to carry water, doodoo bags, cell phone, the dog’s toy and food and more. Let’s carry the tradition forward and take Mayfair back to its roots!